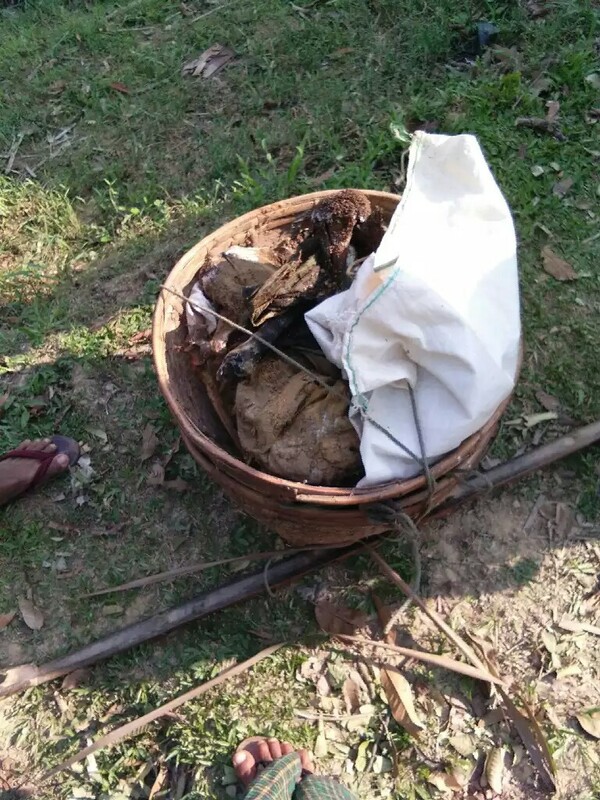 Two fresh death bodies found and recovered by the villagers again at Shangri Bill village in Maungdaw on Monday,17 April as per dream to family members and righteous Majjid Imam Mv Rokim Uddin and many villagers. According to the villagers of Shangribil, they discovered in dream( this month) of two death bodies earted in an area by the security forces. 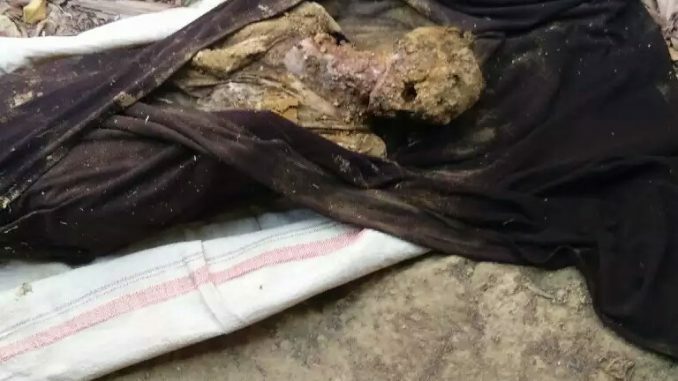 The villagers decided to recover the dead bodies.At last the family members recovered death bodies by the help of a religious teacher and villagers where the deceased were identified clearly as Father in Law and his Son in Law, Abdul Hamid and Sayed Hossain respectively. Abdul Hamid recognized more clearly than his son in law, claimed by the villagers. Though it seems to be fictional to believe, it is regrettably very true matter that proved Myanmar government of commiting Crimes Against Humanity on Rohingya Muslim. After 9,October attack to a police post by insurgents, strong bloody military crackdown has been conducted inhumanly to Rohingya civilians in Rakhine state(Previously Arakan state). 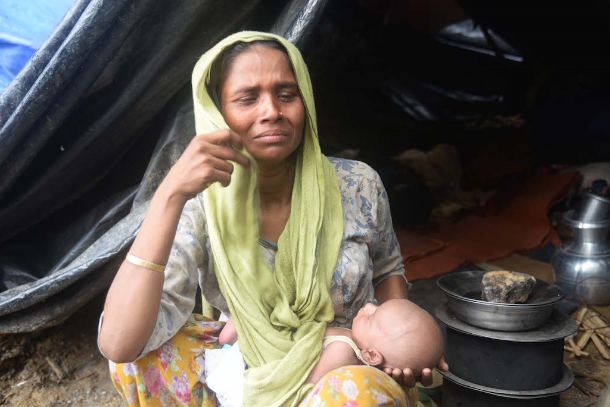 The UN and other international humanitarian agencies claimed thousands of Rohingyas have been killed, many arrested arbitrarily and many have been made flee into neighbouring Bangladesh with risky boat since the operation took place. It is beleived that the two death bodies had been earthed secretly after killing them without handing over to relatives for funeral . The family members have been dreamt several times but fear of persecution of military personnel and police to recover from earthed place.They buried death bodies after paying due funeral activities . It is strongly believed that many more death bodies have been earthed in various hills and jungle in the area where so called military clearance operation was carried out at their sweet-will. The Rohingya civil society, analyst and politicial leaders demanded full justice from International community regarding all the crimes committing by Myanmar government against humanity towards un armed Rohingya civilians. 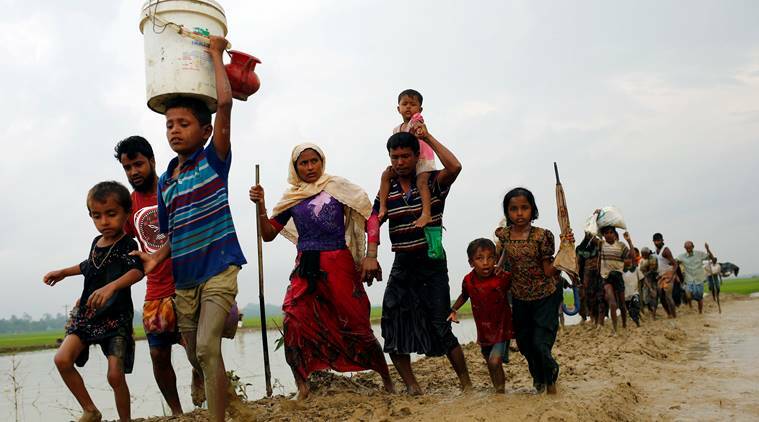 ‘How many crimes committed by Myanmar government will count as genocide and face before International Criminal Court(ICC)’, asked by the persecuted Rohingya.